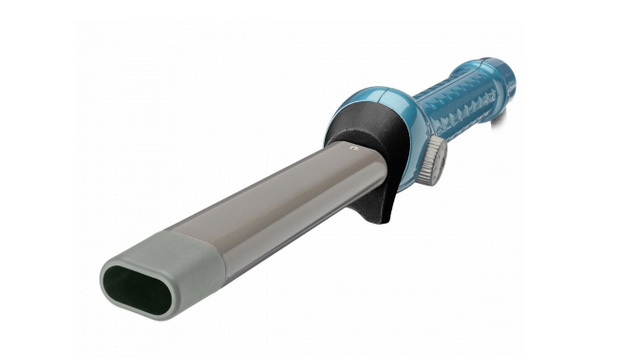 Curling Irons Have A New Shape And It's Awesome! Here's how you can take your beach waves to the next level. Loose, imperfect curls that look tousled and carefree, not uniform and fake? If you’re struggling to get Alexa Chung or Taylor Swift's 'do, here’s the reason: the barrel shape you’re using is totally wrong. To get the vertical zigzags that look especially fab on mid-length strands, you need to use an OVAL curling iron. Just wrap one-inch sections of hair around the wand and allow the curl to cool in the palm of your hand before releasing completely and shaking it out. A few to scope out: BaBylissPro Nano Titanium 1" Oval Barrel Curling Iron and GHD Curve Classic Wave Wand.